Henry Ford didn’t invent the car, Karl Benz beat him to that years ago. He also didn’t invent the assembly line, but he sure is famous for it. So why in the world do people call Henry Ford an innovator, the American Captain of Industry? Ford might have not invented anything 100% original, but he knew how to take existing ideas and develop them into something extraordinary. Henry Ford wanted to take the idea of an automobile reserved for the rich and bring it to the millions. Ford started his journey in 1863, born to William and Mary Ford on a farm in Dearborn, Michigan. He was reported to be a curious and natural tinkerer in his early years. At one point his father gave him a pocket watch, which he proceeded to tear apart and reassemble on his own. He took this skill throughout town, tearing down watches from friends and neighbors, sometimes repairing them, and then putting them back together. He was soon known as the local watch repairman. 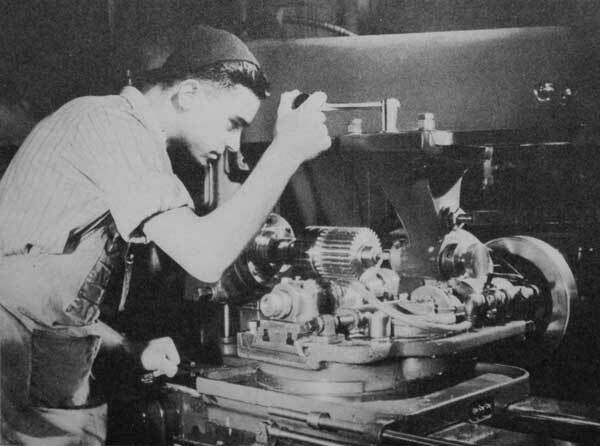 Henry’s fascination with mechanical systems led him to to the city of Detroit at the age of 16 where he began work as an apprentice machinist.One of his first jobs was at the Flowers Brothers Machine Shop, where he earned a salary of $2.50 a week shaping brass valves on his milling machine. 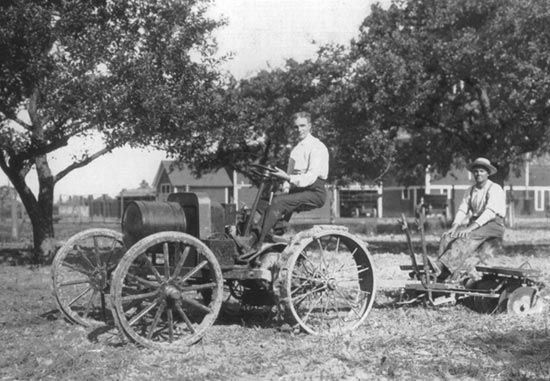 In 1882 Ford returned back to his parent’s farm with little interest in doing any farming. Instead, he worked on upgrading the portable steam engines used by local farmers, and also took side jobs in factories and cutting timber. In 1888 he married Clara Bryant, a local gal who had grown up on nearby farm. Tired of supporting his family by running a sawmill, the duo returned to Detroit in 1891 where Ford was hired as an engineer for the Edison Electric Illuminating Company. What in the world was a machinist doing working as an engineer? Ford didn’t know much about electricity, but he saw the job as an opportunity to learn something different. He carried his strong curiosity from childhood wherever he went. 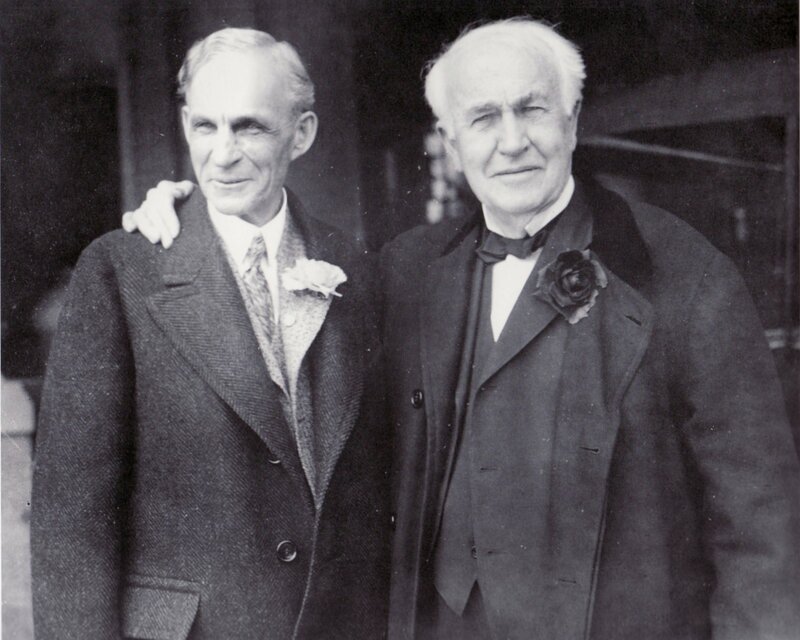 In only two years Ford was promoted to Chief Engineer at Edison’s company. It was an odd job, with Henry on call 24 hours a day. The hours when he wasn’t working was spent developing a prototype for a gas-powered automobile in his workshop. Backed by a team of supportive friends, his efforts culminated in his first self-propelled vehicle, the Quadricycle. The two-cylinder, four-horsepower gasoline engine was supported by a light metal frame and four wheels that looks like they were taken from a bicycle. Steering was handled through a tiller that looks like it belonged on a boat. The vehicle had only two forward speeds with no reverse. Riding on the spark of his Quadricycle success, Henry produced a second vehicle in 1898 and started to attract the interest of businessmen. Ford knew absolutely nothing about running a business though, and his first two ventures would ultimately fail. His business partners reportedly found Ford frustrating to deal with. He constantly wanted to improve his automobiles instead of putting them to market. After his failed business ventures, Ford started to set his sights on other avenues of bringing attention to his automobile success with racing. He developed several racing cars, which attracted the financial backing that he needed to start fresh. 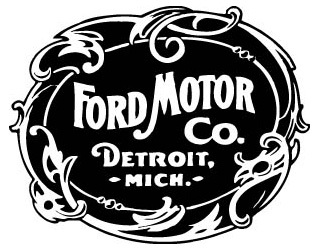 In June 1903, Henry Ford and Alexander Malcomson, Detroit’s larger coal dealer, founded the Ford Motor Company with $28k in cash and another $21k promised from friends, relatives, and other business contacts. This vision was first realized with Ford Motor Company’s first car, the Model A. The very first was sold to a dentist in Chicago in July 1903. In 1904 more than 500 Model A’s were roaming the streets. This was followed up in 1907 with Ford’s four-cylinder Model N that was priced at only $600. Ford was just getting started though. On October 1, 1908 Ford developed the concept for his most famous automobile yet, the Model T. The “Tin Lizzie” was an overnight success. It was easy to drive, could handle challenging roads like a champ, and was simple to maintain. Most importantly, it was affordable enough for middle class Americans to obtain. Before long Ford had way more orders for the Model T than he could handle. To meet massive demand, Ford would not only have to relocate to a bigger factory in Michigan, but he would also completely rethink how automobiles were manufactured. 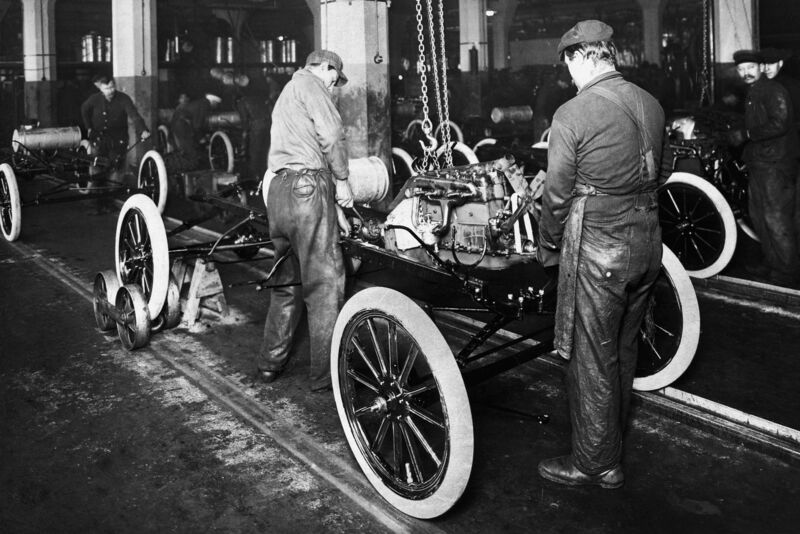 During the early years of Model T production, Ford was lucky to assemble a few cars per day. Two to three workers would typically work on a car at a time, using a collection of parts that were produced by other companies. At the peak of this manufacturing efficiency it took 12.5 hours to complete a Model T. Ford wanted to cut that number in half, and then some. Henry and his team started investigating manufacturing techniques in other industries. They observed the inner workings of watchmakers, gun makers, bicycle makers, and meat packers. They then took all of these ideas and synthesized them together into a manufacturing process that would revolutionize how we manufacture not just automobiles, but nearly everything in the United States. Ford’s reasoning was pretty profound at the time. He thought that if a worker remained at one station and performed one task, they could build automobiles more efficiently. In August 1913 he pulled a Model T chassis by a rope across the floor of his Michigan plant, and assembled the car with success in his new process. The new manufacturing system didn’t just cut production time in half. They went from making a Model T in 12.5 hours, to making one in just 93 minutes. This massive increase in efficiency allowed Henry to slash the price of his Model T by hundreds of dollars, but this created bigger problems that Ford now had to deal with. What hadn’t been foreseen was the effect of repetitive work on his employees. The turnover rate in his new assembly line process became such a problem that Ford had to hire 1,000 workers for every 100 jobs they had to fill. Employees were dropping like flies left and right. So what did Ford do? What no one expected. He started paying his employees $5 per day, which was double what any competitor was paying. Just like that people were flocking to Ford Motor Company’s plant looking for work. Not only did this wage increase stabilize turnover, it also gave his employees the ability to buy the cars they were manufacturing. By 1922 half of the cars in America were Model Ts and could be had for the low price of $269. 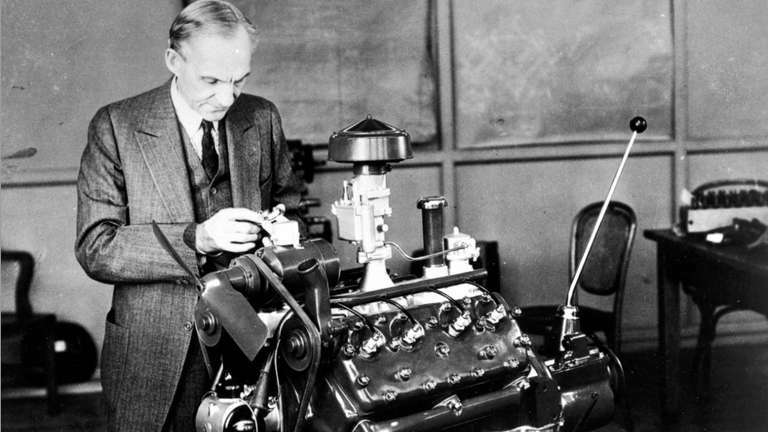 Henry Ford had officially brought his vision to life. Until the late 1920s Henry Ford ruled the automobile industry with the Model T. In 1919 he was tired of shareholders interfering with his company, so he decided to buy all of them out and become the sole owner. However, all of this power seemed to cloud Ford’s judgement. 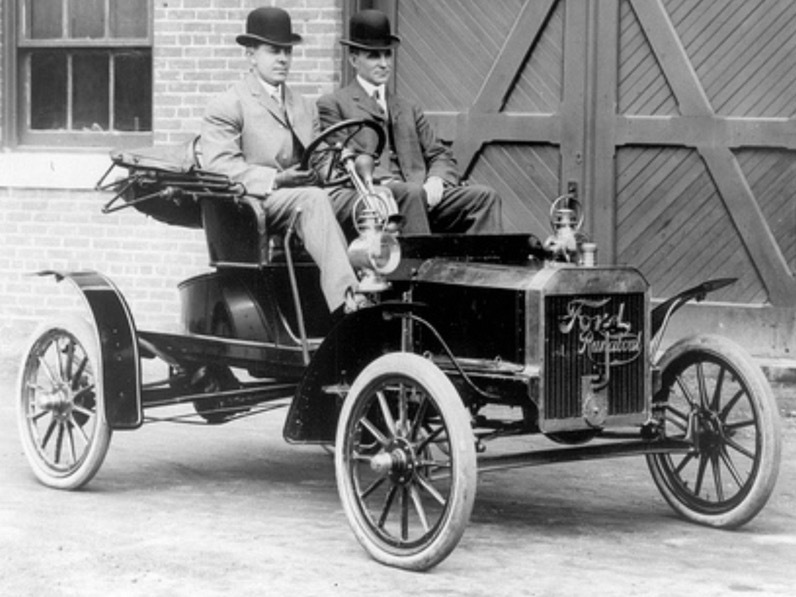 The raging success of the Model T convinced Ford that this was the only car people wanted. He started ignoring the competition, who were offering more expensive but stylish automobiles like the Chevrolet. Ford executives started to lament about the need for a new model, but Henry just wouldn’t listen. The 1922 Chevrolet Series 490 became a serious competitor. By the late 1920s Ford could no longer ignore his declining sales numbers, so he had to make some drastic changes. He first laid off thousands of employees and shut down the Model T assembly lines to design a brand new car. He was 64 years old at the time and was basically starting over from scratch. Then Ford moved all his automobile production to a massive industrial complex along the banks of the Rouge River in Dearborn, Michigan. Ford constructed a manufacturing facility like none other. It contained all of the necessary materials and processes to assemble a complete automobile including a glass factory, steel mill, and assembly line. Iron ore and coal were shipped in on Great Lakes steamers and by railroad. By 1927 every single step of refining materials and manufacturing parts for Ford’s vehicles were done in house. It was the world’s largest factory that churned out steel, glass, tires, and other components at all hours of the day for his automobiles. All of this change culminated in the release of the new Model A, which gave Ford Motor Company just enough spark to move forward. Two years after its introduction, the stock market crashed in October 1929, but Ford was able to ride out the early storm thanks to the success of the Model A. He even managed to raise employee wages at a time when people were lined up starving in food lines. The Model A only remained competitive for four years before it was replaced by Henry Ford’s last great innovation, the V8 engine. When the new V8 was introduced in 1932 it was an immediate hit with the American public. People were craving vehicles with more luxury and power, and the V8 answered with speeds exceeding 80 miles per hour. 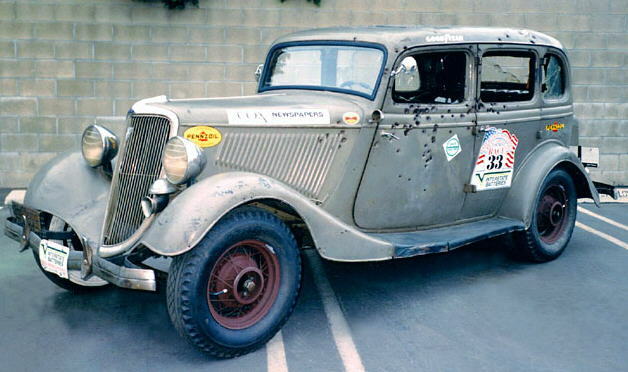 Bonnie and Clyde’s famous ride, a Ford V8. The success of the V8 allowed Ford Motor Company to stay alive, lagging in 3rd place in 1936 behind General Motors and Chrysler Corporation. Soon after the world was plunged into World War II. Ford was a vocal pacifist and worked tirelessly to keep the United States out of the conflict. However, after the Japanese attack on Pearl Harbor he was forced to submit. 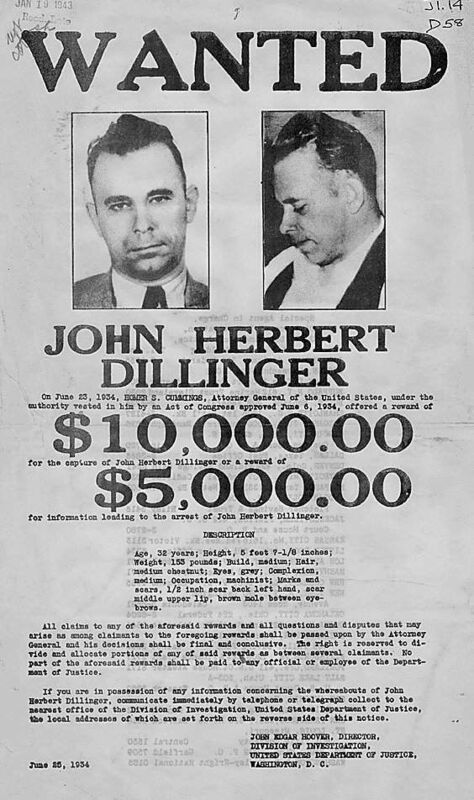 His company would become one of the nation’s primary military contractors and supplied airplanes, engines, jeeps, and tanks. Henry would later turn over control of his company to Henry II, Edsel Ford’s son. Ford spent the rest of his years at his estate in Dearborn, Michigan where he died on April 7, 1947 at the age of 83. Henry Ford might have not invented the automobile or the assembly line, but his true genius was taking existing ideas and making them radically better. 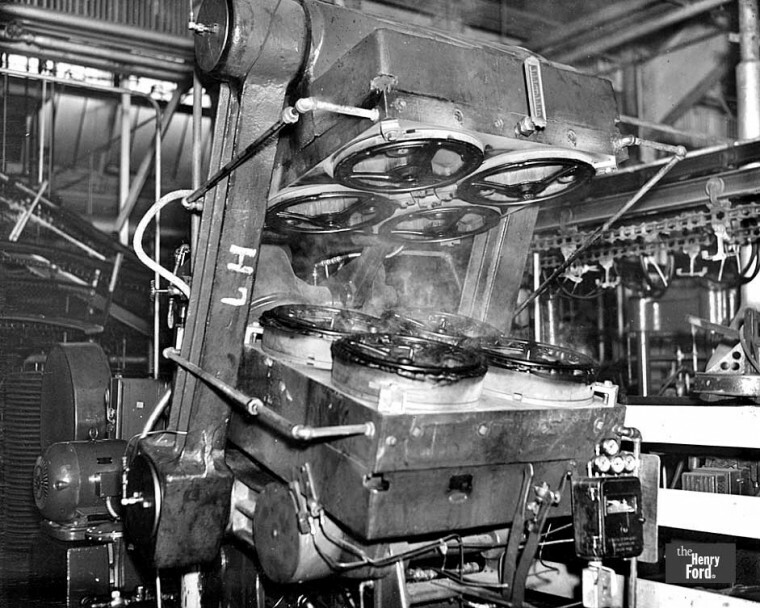 Ford’s manufacturing framework completely revolutionized the way we make not only cars, but hamburgers, televisions, and so much more. Ford was possessed by a vision, to build a future that was better for every American, and he realized that vision by moving the millions. Innovation starts with the seed of an idea. Ready to brings yours to life? Try Fusion 360 for free today!